The Double Locking Mechanism insures a secure fit for your boat or home application. The Pedestal locks into the mounting base and the grill or table locks to the pedestal. The grill or table is instantly removable from the pedestal with a simple push-button release. 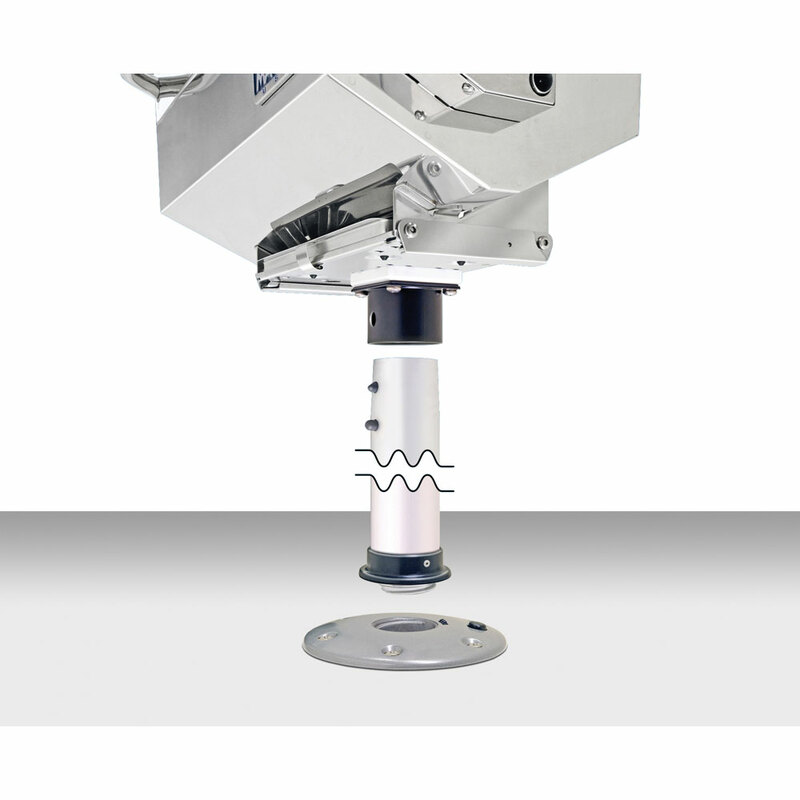 The pedestal also is instantly removable from the mounting base with a push-bottom release that allows the pedestal to be unthreaded and removed for storage. The low-profile, threaded twist-lock surface mount base measure just 5/8" tall and 7" in diameter with a 5-3/4" bolt pattern. There is no need to cut a hole in your deck. Made of durable anodized Aluminum with a brushed Satin Finish, it is perfect for swim platforms, boat decks, pontoon boats, or at home on the patio, balcony or deck.